NBA PlAYOFF UPDATE -LAKERS LOSE SUNDAY. On Friday the Lakers were beautiful. They won by 30 points. The ecstatic block by Jordan Farmar was something to see, Eme Udoka didn’t know what hit him. 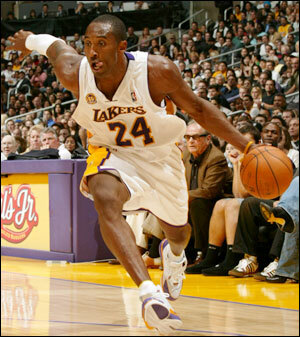 Now the Lakers were up 2 – 0. Then came the game in San Antonio Sunday night. The Sunday game was a blowout. With the Spurs winning big, 103 -84 the Spurs finally came alive and took a victory. Manu Ginoboli was on fire, he was 5 for 7 from the 3 point line. He scored 30 points just 10 away from his career high ( 40 points).Tim Duncan had 18 rebounds, 20 points and Tony Parker contributed 22 points to the Spurs win. On another coast in Boston, The Pistons were the first team all year to beat the Celtics in a Playoffs on Celtics hometown turf. Celtic had an unbelievable win the Celtics finally go on the road and win a game against the Pistons Saturday night. 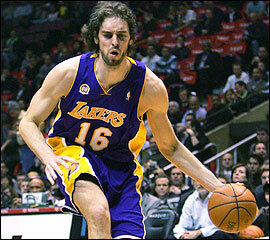 Lakers play the Spurs tonight, I think the Lakers will win. GOOD BYE HORNETS:KOBE DESTROYS THE SPURS! 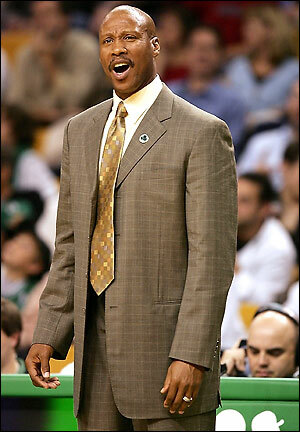 Thank you to Byron Scott for bringing the Hornets so far, and winning coach of the year. Chris Paul and David West had a great season despite a terrible back injury David West suffered in game 6. David West said the hit he suffered at the hands of Robert Horry was an intentional foul, and we agree. Unfortunately the Hornets did not make it to the semi-finals. But for discouraged Hornet’s fans have hope because the Lakers are going to beat the Evil Spurs in the semi-finals and then go on to beat the Celtics/Pistons and Kobe will have his 4th Championship Ring. The Spurs did rather well last night but the Lakers big 3 Pau Gasol, Lamar Odom, and of course the best but not least, Kobe will wash them clean. 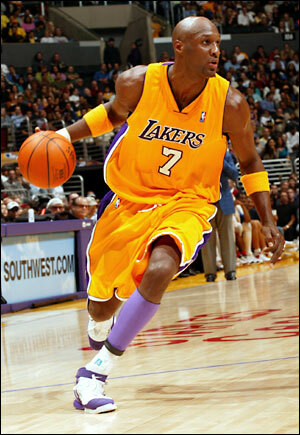 Our prediction 4-3 series victory for the Lakers and the big 3. For the Lakers to win their bench has to be excellent. Stay tuned for more sports info. Look forward to some great articles on the Mets and Yankees!